Angel with stardust glitter angel wings micro pendant and matching Cuban chain necklace. 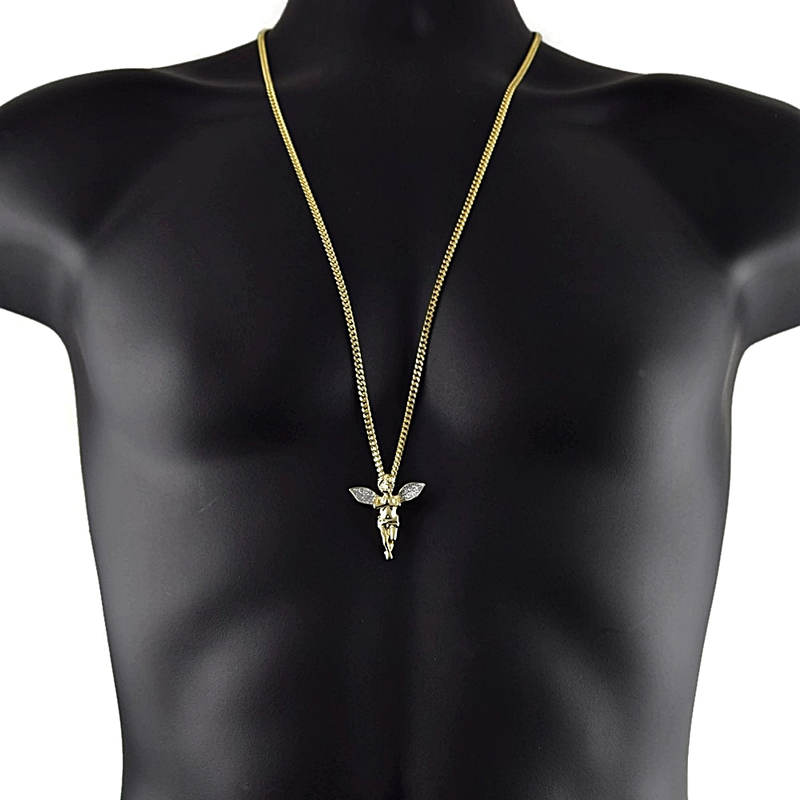 Praying angel pendant and cuban chain with lobster clasp, dazzling 14K gold plated finish over brass for a brilliant golden shine. 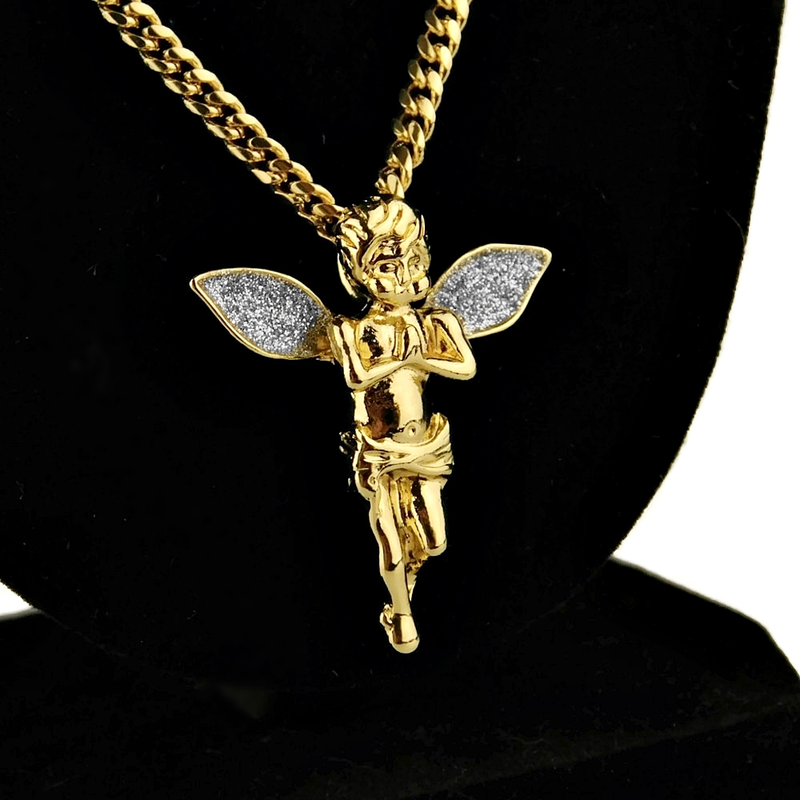 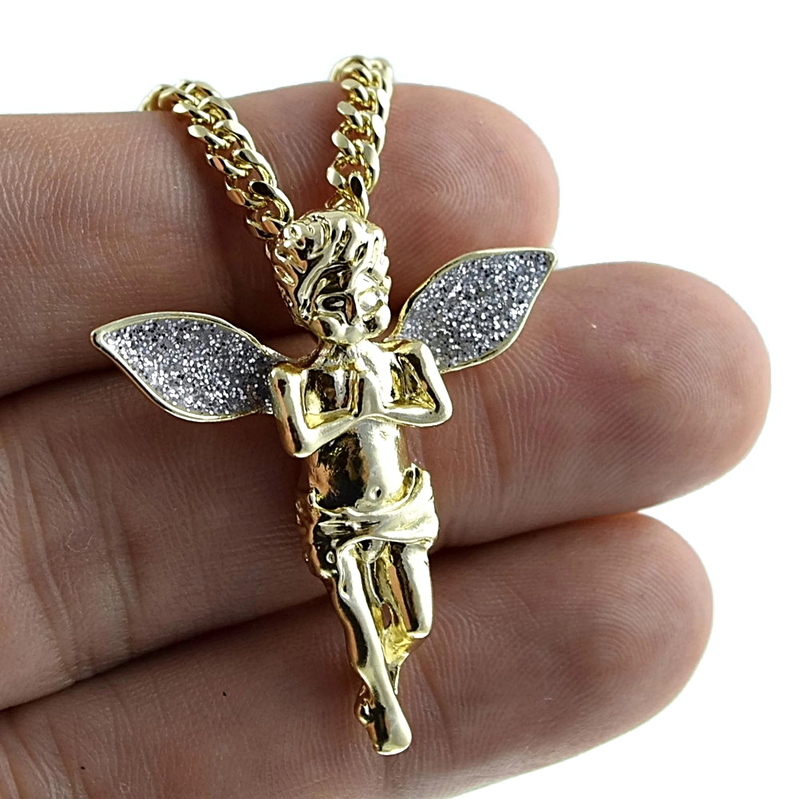 Angel mini pendant measures 1.44 inches tall and 1.28 inches wide. 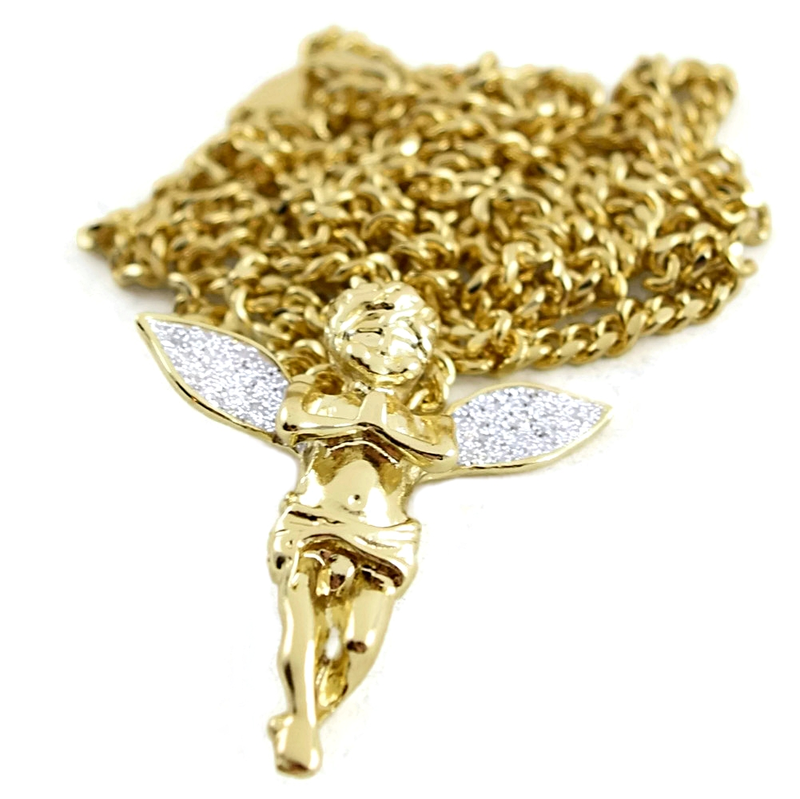 Cuban link chain is 30" inch x 3.5MM wide.